The singer/songwriter brings us a heartfelt, intimate and uplifting track. It premiered on Friday 8/17 on No Depression. 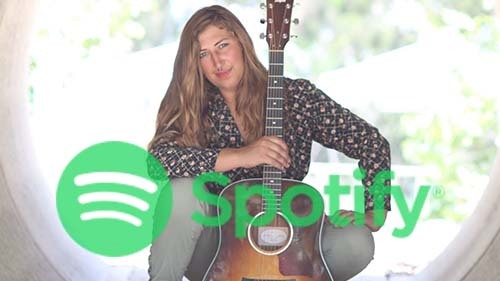 Laying out one’s soul in song is the best way to define this inspiring track by Los Angeles based musician Jess Jones. “Roll The Dice” is essentially a story with music, an autobiographical piece describing Jess Jones and her decision to move to LA from upstate New York. The single will be released on August 17th. The music is upbeat and inspiring, while the lyrics are more personal and profound. With this balance “Roll The Dice” becomes quite a catchy tune starting off with acoustic guitar and adding bass, organ and drums in an easy to follow progression, and the song rapidly turns into a catchy folk tinged tune . The concept of taking oneself out of your comfort zone and exploring new chances is, in this day in the US, a popular topic of discussion, and Jess Jones manages to sing about her experience in a beautiful way. Starting with guitar at the age of only 13 in Esperance, NY, Jess Jones became quickly attached to writing music and soon after, began writing full songs. Studying classical guitar and voice at the Crane Music School opened her up to more options and influence as a songwriter and performer. It wasn’t until relocating to Los Angeles that the songwriter began working towards a solo career. Jess has performed at venues such as the Silverlake Lounge, Orange County Fair, Santa Monica Pier, Kibitz Room, and the Mint. After releasing her debut single “Same Thing” she teamed up with producer Michael Mazochi for her latest release “Roll the Dice”.